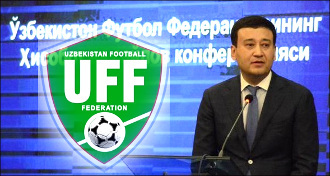 The Football Federation of Uzbekistan (UF) repeats own history ignoring the numerous warnings of local and foreign specialists, as well as the demands of the International Federation of Football Associations (FIFA), chose the authoritative way of national football management again. The federation conference in the Tashkent hotel "Radisson Blu" lasted only an hour and a half held on 12 September. The delegates elected Umidjon Ahmadjonov as the President Uzbek football federation on a non-alternative basis. The Tashkent city football federation nominated him. Ochilboy Ramatov, the first vice-premier of the Uzbek government, Pulat Babadjanov, the minister of internal affairs of the republic, and rector of the Uzbek State Institute of Physical Culture, Shoakram Israilov, who is also a state official became deputies of the federation leader. 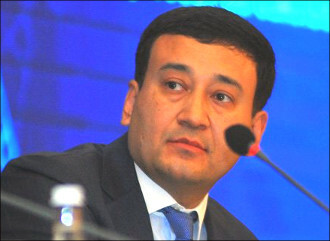 Umid Ahmadjonov worked as a vice-president of the Pakhtakor Football Club, the National Olympic Committee and the Paralympic Association of Uzbekistan. 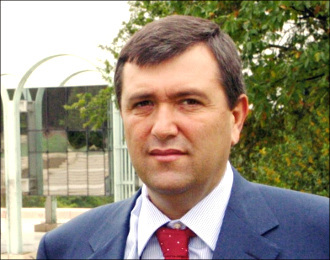 According to some information, he is one of the closest to the well-known businessman Salim Abduvaliev - the first vice-president of the National Olympic Committee of Uzbekistan. Participants of the conference approved these officials since there had been no alternative candidates. It is noteworthy that the rules of FIFA prohibit the interference of the state and government officials in the work of national federations. This requirement, apparently, does not concern UF. At the same time, UF went not only against the requirements of FIFA but also against its Charter. In particular, according to paragraph 39.4 of the UF Charter, the Secretary-General of the Federation had to notify the UF members about the candidates running for the presidency of the football organisation at least two weeks before the beginning of the conference. In other words, the football community of Uzbekistan must have received information about the candidates for the presidency on 29 August. However, they knew nothing about the candidates for the post of UF President even on 11 September, or the day before the conference. On 7 September, five days before the UF conference Tashkent hosted an international conference on "Managing Sports Organisations in Uzbekistan", the problems of Uzbek football was the main topic of discussions. The speech of Alisher Aminov, vice president of the International Fund for Support of Legal Initiatives (Russia), who spoke in detail about the systemic problems of football in the post-Soviet countries, in particular, in Uzbekistan became the reason for the heated discussions. "Why did the Uzbek football community fail to do anything with the head coach of the national team Samvel Babayan despite the complete failure of the national team in the second round of the qualifying round? Because, the President of the Federation Usmanov, who did not even consult with the coaching council or veterans of football in his bid appointed Babayan himself. And why Usmanov did not ask anyone with the appointment of Babayan? Yes, because somebody from above named him too, not consulting with anyone, bypassing the football community of the country," said Alisher Aminov, citing examples of the negative influence of the vertical management of Uzbek football. The Russian expert warned that the closed and undemocratic management of football, the interference of state officials in the activities of national federations, disregard for the opinion of the football community always lead to such failures: unsuccessful appearances of national teams and clubs in international competitions, corruption and contract games, the stagnation of children's and youth football and other problems. "Today is the 7th of September. Four days later, there will be the election of the new president of the Football Federation of Uzbekistan. However, the football community of the republic still does not know the initials, programmes, or goals of the candidates for this post. Apparently, the Uzbek federation again wants to go through a previously disastrous, but convenient for public officials way - closed and vertical," said Aminov. Participants of the international conference, concerned about the future of Uzbek football, adopted a resolution and sent it to the President of the country Shavkat Mirziyoyev. In it, they asked the head of state to postpone the holding of the UF conference to ensure transparency and democracy in the election of the president of the federation. Veterans of Uzbek football, as well as acting coaches and football players of the republic signed the document: Berador Abduraimov, Rauf Iniliev, Vyacheslav Soloho, Nikolai Lyubartsev, Elmar Aminov, Andrei Fedorov, Azamat Abduraimov, Andrei Miklyayev and others. However, nobody heard the appeal of Uzbek football activists, and the election of the UF President passed with no contest and democracy. 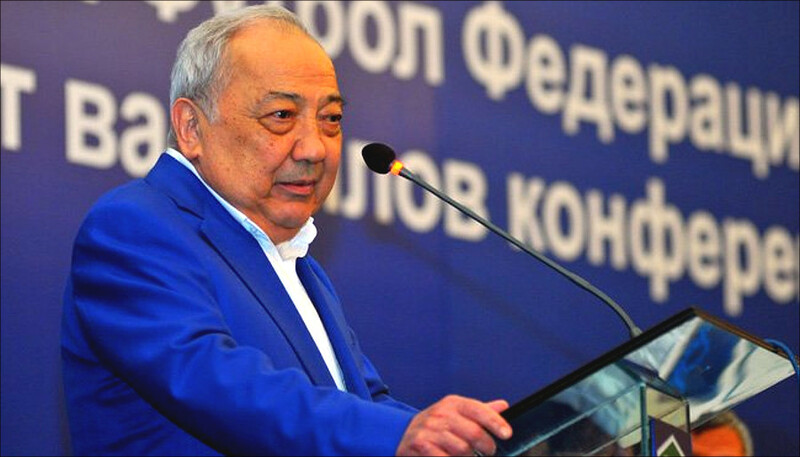 The UF Conference, which the football community was waiting for four years and lasted for only an hour and a half, was poor in ideas, but rich in praises to Mirabror Usmanov, now the former President of the Uzbek Football Federation. The Secretary-General of the Football Federation of Uzbekistan Sardor Rahmatullaev thanked Mirabror Usmanov "for the fruitful work as the head of the federation, for the huge contribution to the development of Uzbek football" on behalf of the whole national football community. Having completed his ode, Rakhmatullaev put a gilded robe on Usmanov's shoulders. Usmanov himself, speaking before the conference participants, unexpectedly stated that he had never promised anyone to lead the Uzbek national team to the World Cup. Even his admirers froze from his words. "In the speech of Mirabror Usmanov, I liked only that he urged the new UF leadership to be tolerant of criticism from journalists," said independent football journalist Bobomurod Abdullayev in his commentary to Fergana. However, in his opinion, the former head of the federation Mirabrour Usmanov and his favourite, the old head coach of the national team, Samvel Babayan left their posts not even correctly reporting to the general public, media and fans. "What can you say about their work? They came, screwed up and left! They did not report to anyone, did not suffer any punishment," Abdullayev said. The expert has every reason to believe that the new leadership of the Uzbek Football Federation will most likely follow the same path, called 'Come, screw up and leave!'" Thus, the Uzbek Football Federation, in fact, ignored the opinion of the football community, the requirements of FIFA and even own charter. They are following the path that could ultimately plunge Uzbek football into a swamp of corruption, contract games and other problems. Of course, FIFA may not recognise the election of the new UF leadership legitimate and even declare sanctions against the Uzbek federation due to its failure to comply with the requirements of the international association. However, it is unclear, whether the FIFA officials would wish this. The Asian Football Confederation (AFC), responsible for compliance with FIFA standards in the states of the continent, is very pleased with the pseudo-elections in UF passed on 12 September this year. So, the AFC head Salman Bin Ibrahim Al-Khalifa congratulated Umid Ahmadjanov on his appointment as UF president. In his congratulations, he wrote as if he witnessed the election of the new UF president: "The choice of your candidate for this post is evidence of the trust and loyalty to you of the entire football family." True, Salman Bin Ibrahim Al-Khalifa did not specify what kind of football "family" he trusts in Umid Ahmadjonov: the government or the people's.